Staying current on your car maintenance gets you the best fuel efficiency, keeps you safe on the road, and elongates the life of your vehicle. Federal Way Automotive & Radiator helps you stay on top of manufacturer’s guidelines as well as look out for worn parts that should be replaced. When something does require auto repair, our ASE certified technicians handle engine repair, transmissions, electrical systems, emissions, radiators, diagnostics, and much more. 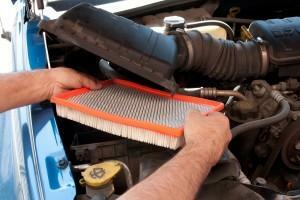 We are the only stop you need to make to stay on top of your car maintenance near Edgewood. 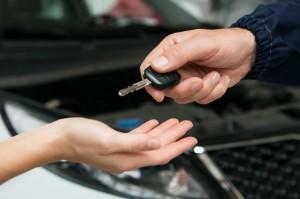 Our state-of-the-art auto repair shop can diagnose any problems your vehicle is experiencing. We cut out the wait time by quickly getting an accurate diagnostic report on your vehicle. Our experienced technicians are able to work on older cars with minimal computer assistance as well as the most current, high-tech models. We handle cars, trucks, vans, fleet vehicles, foreign, and domestic cars and more. Good car maintenance begins with regular tune ups. Our multi-point inspection keeps your car well lubricated, fluids changes and topped off, and will catch wearing parts before they breakdown. We replace your filters, inspect for leaks, check tire pressure and brake wear, and ensure that your car is running at its optimal level. As a locally-owned business offering services to the people of Edgewood for over 30 years, we have a reputation for quality service and excellent customer care. You don’t have to look long before you find people raving about our services in online review sites. That is because we take the time to discuss your car with you and make sure you understand what is needed. We offer upfront, transparent diagnostics for your car and never pressure you into anything. All our pricing is upfront and honest with no hidden fees. All that, and we back our work with a 12 month/12,000 mile warranty on parts and labor, so you can rely on quality car maintenance from us! Don’t put off car maintenance until there is a problem. Bring it in for regular check ups and stay safe on the road. When you do have a problem, we have a well-stocked shop full of parts to cut back on waiting. Our technicians can repair just about any car maintenance issue you have. From your basic tune ups to detailed auto repair work, we offer service you can rely on for some of the most affordable prices in the area. That is why we have a reputation for providing premiere car maintenance near Edgewood. Contact us today for your car maintenance near Edgewood and keep your car in great shape.